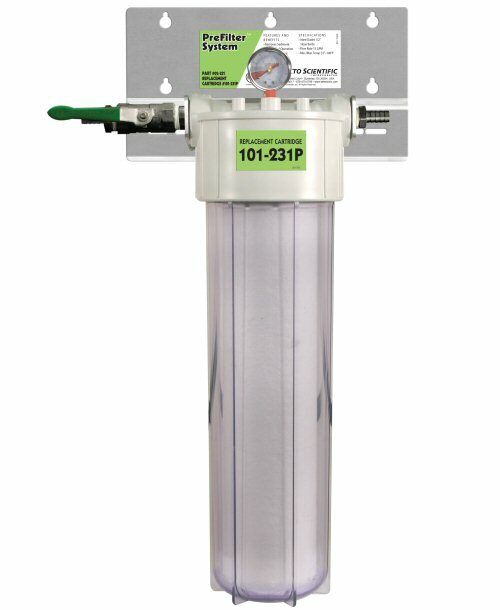 Reduces sediment down to 10 microns for high sediment water conditions in well water or municipal water. * Recommended Operating Pressure: 125 psi. * Shipping Weight: 25 lbs. * System Dimensions (W/D/H): 17/9/28"
Use with water that is otherwise safe. 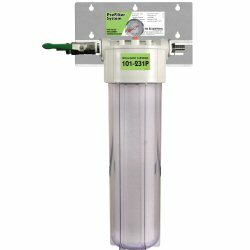 If water is unsafe we have better filter choices. Selecto requires 2 weeks lead time. May be shipped sooner. REFER A FRIEND ~ YOU GET A GIFT!